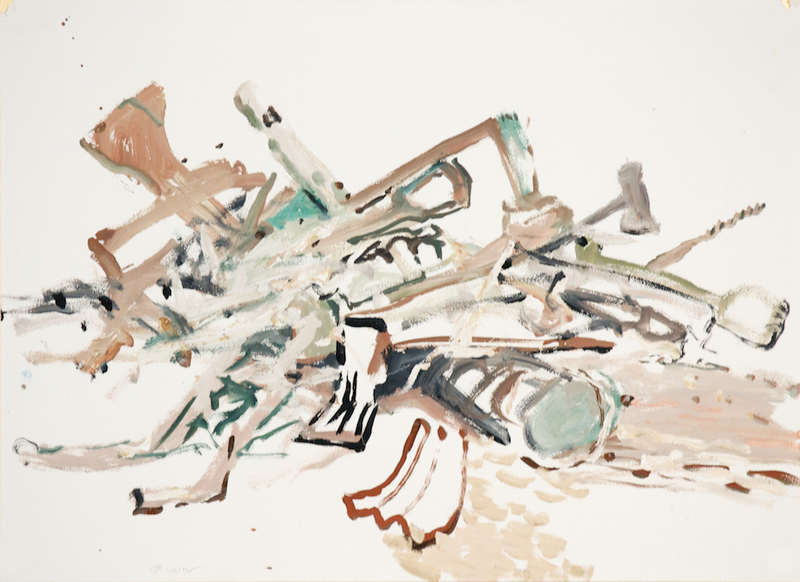 Since the early 1980's Peter Maloney has produced a vast body of works on paper. 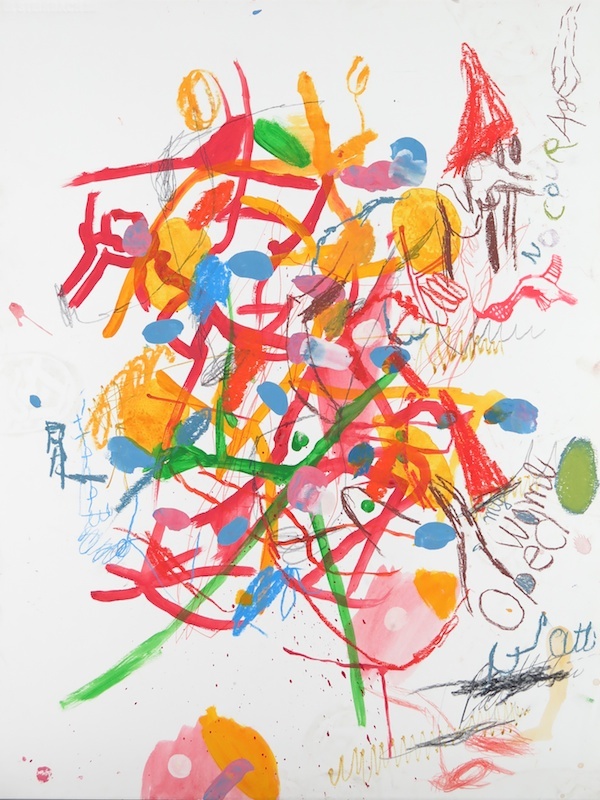 In this survey exhibition "Missing in Action" Maloney presents a vibrant and lyrical body of work. Curated by Tony Oates and Terence Maloon. Yukultji Napangati has won the Wynne Prize at the Art Gallery of NSW. 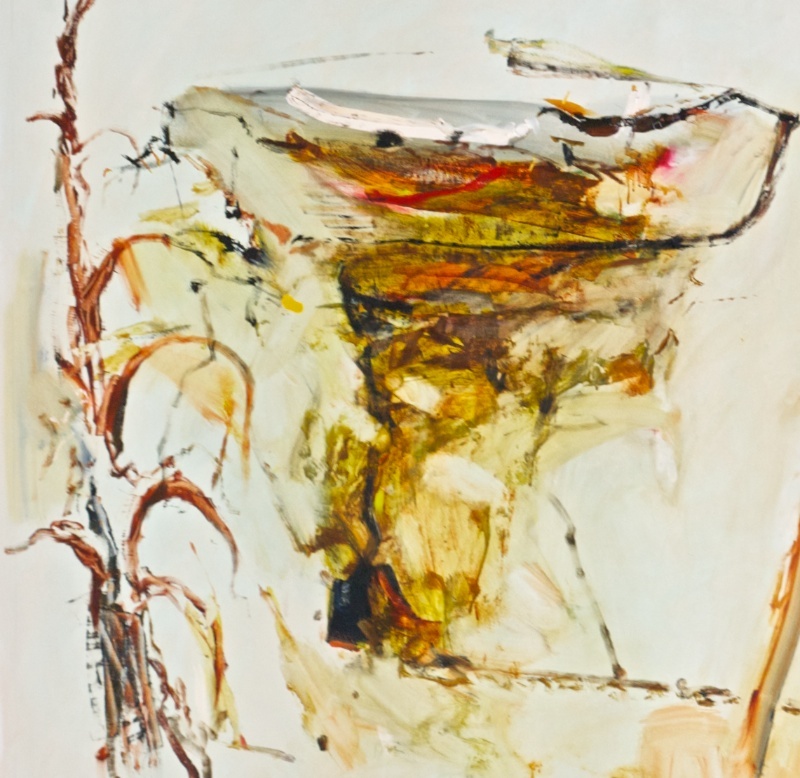 John R Walker has been selected as a finalist for the 10th time in the Wynne Prize at the AGNSW. 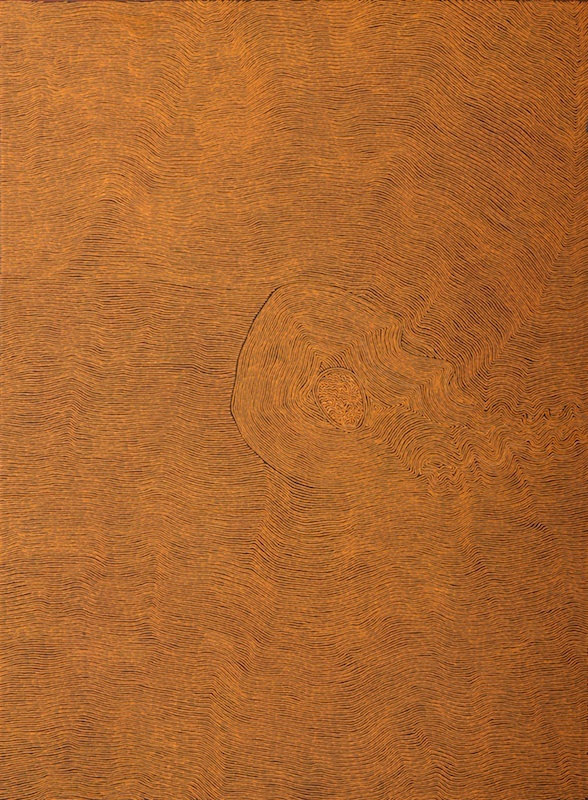 Simryn Gill solo exhibition at Kohta, a contemporary artspace in Helsinki, Finland, includes two series of her work, Sun Pictures 2013, and Naga Doodles 2017. 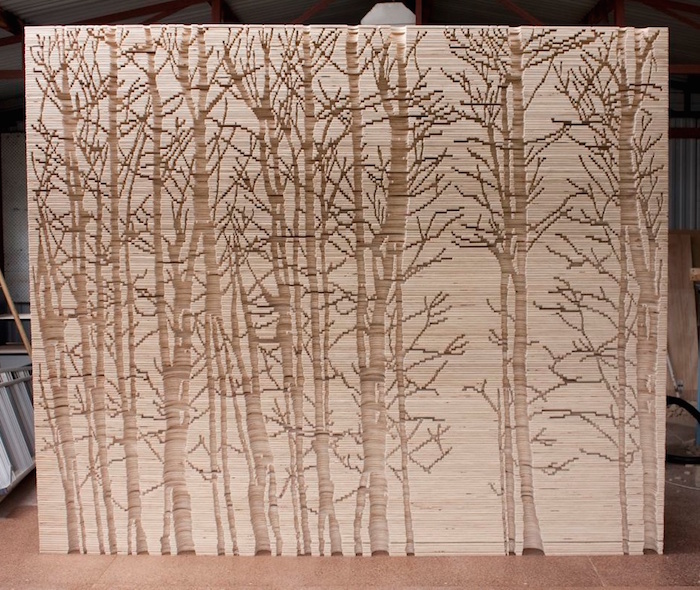 Christopher Hodges is one of the finalists in the Western Sydney University Sculpture prize. 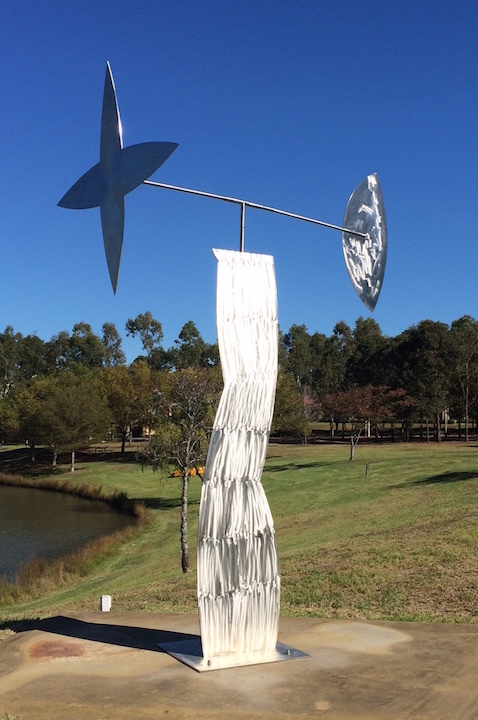 Installed in the grounds of the WSU Campbelltown Campus, his work Morning Star moves with the wind, its silver surfaces reflect the lake and parkland. 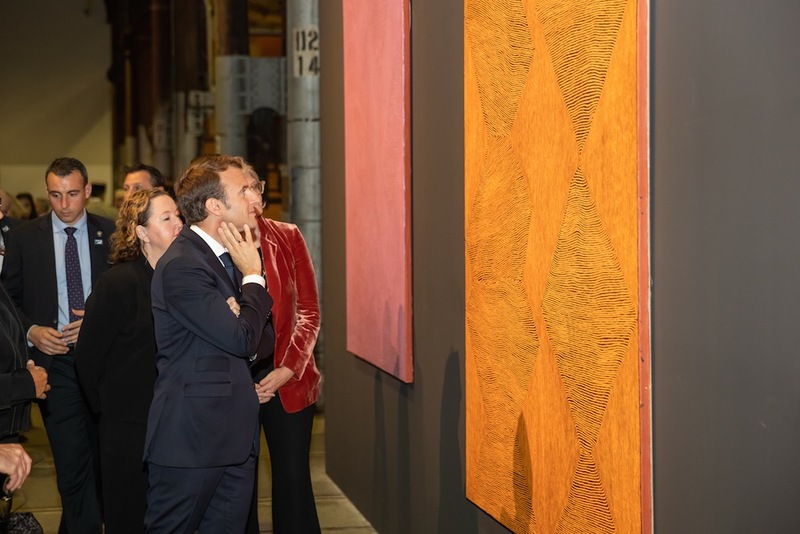 French President Emmanuel Macron, accompanied by Prime Minister Malcom Turnbull view George Tjungurrayi's installation at Carriageworks, installed for the 21st Biennale of Sydney, Superposition: Equilibrium and Engagement. 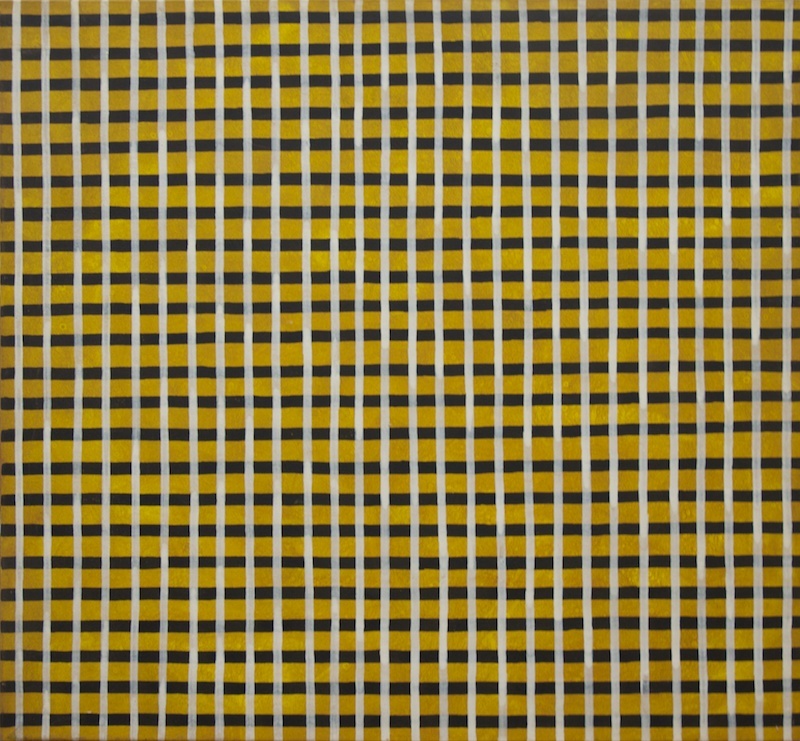 In 1968 The National Gallery of Victoria opened its new building with The Field, a ground-breaking exhibition of abstract art by young Australian artists. To commemorate the 50th anniversary the exhibition is being re-created with many of the original paintings and sculptures, including David Aspden and Tony Coleing. Tony Coleing in the National Gallery of Victoria exhibition The Field Revisted. 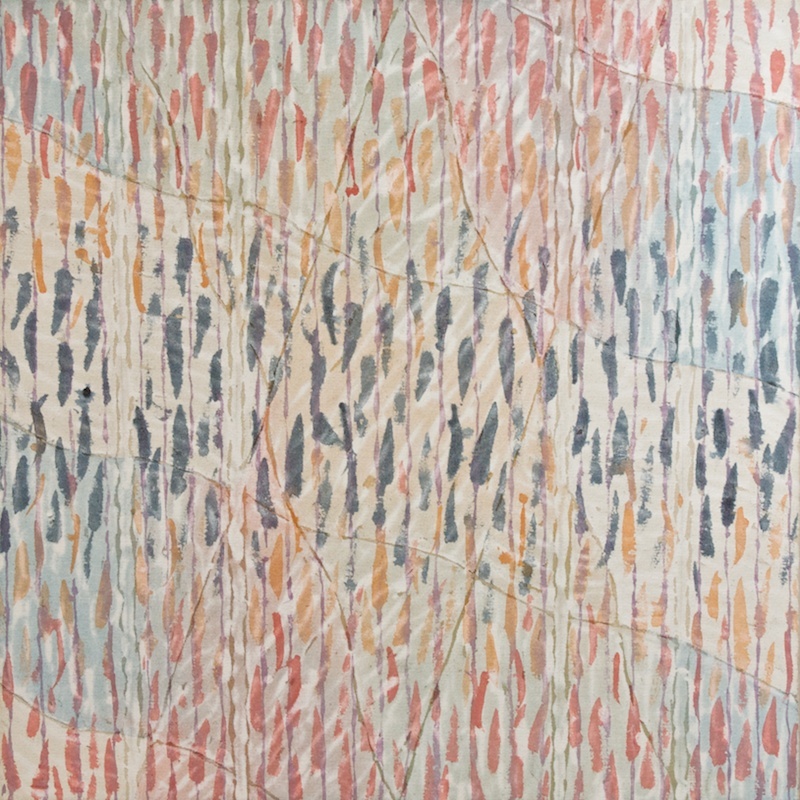 To celebrate John R Walker's Oratunga to Burra suite of paintings at the Adelaide Biennial a selection of his gouaches and artist books of Burra landscapes will be exhibited at Burra Regional Gallery The Zephyr Quartet will be performing on April 13 a programme of music inspired by his work. It has often been said that we are shaped by the spaces that surround us. Curated by Gavin Wilson, "Interiors" probes that concept through the eyes of a select group of modernist and contemporary artists. 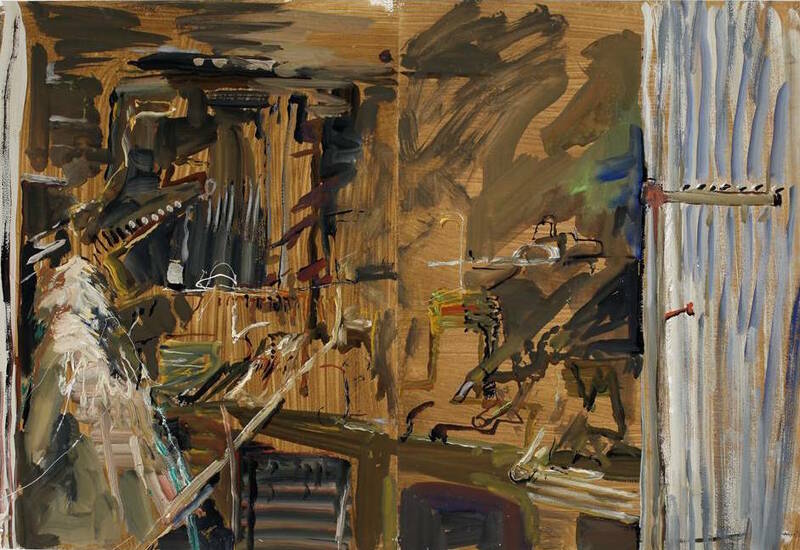 The exhibition includes two works by John R Walker, paintings of his shed. 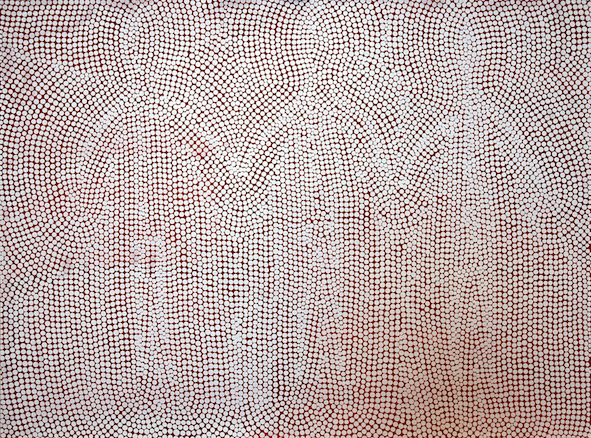 George Tjungurrayi is one of the artistsfeatured in the 21st Biennale of Sydney. 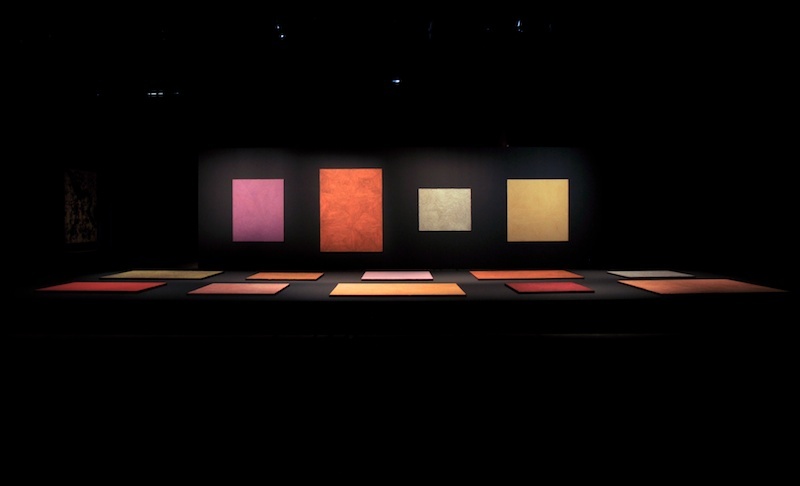 In her announcement Mami Kataoka, Artistic Director of the Biennale, said “I had been looking into the idea of nature from a Japanese perspective for quite a long time. But I think there is a beautiful resonance with Australian Indigenous culture, and how that would speak with western, modern idea of nature”. 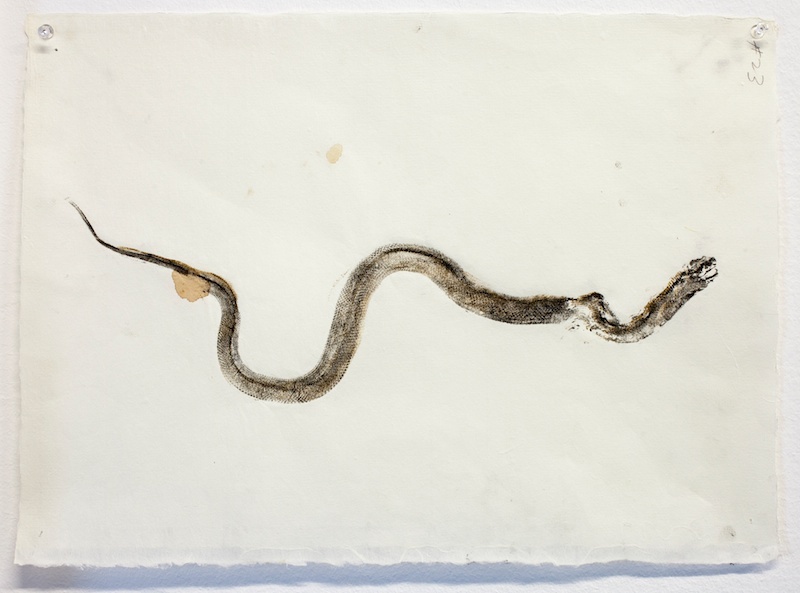 Simryn Gill included in the Biennale of Sydney. 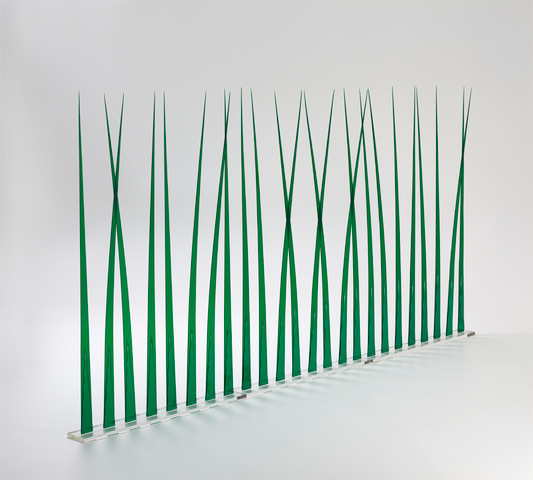 Simryn's work is drawn from the Museum of Contemporary Art collection, and exhibited in the MCA. 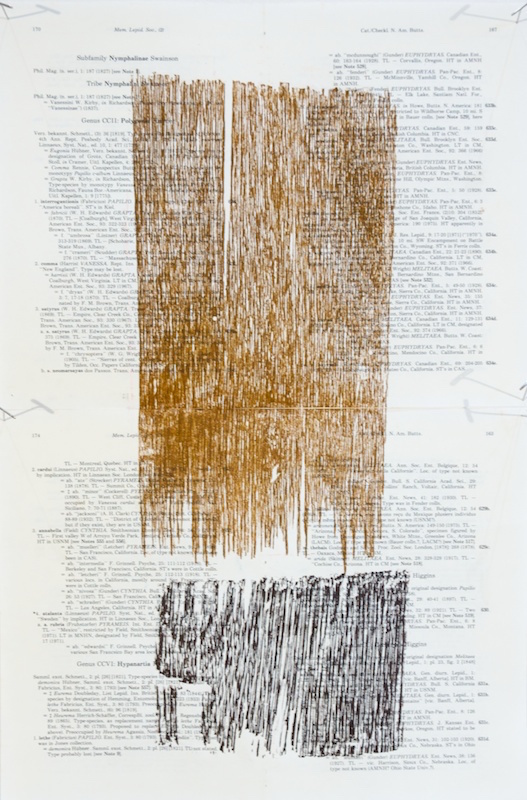 George Ward Tjungurrayi and Christopher Hodges included in this survey exhibition drawn from the Macquarie University Collection. 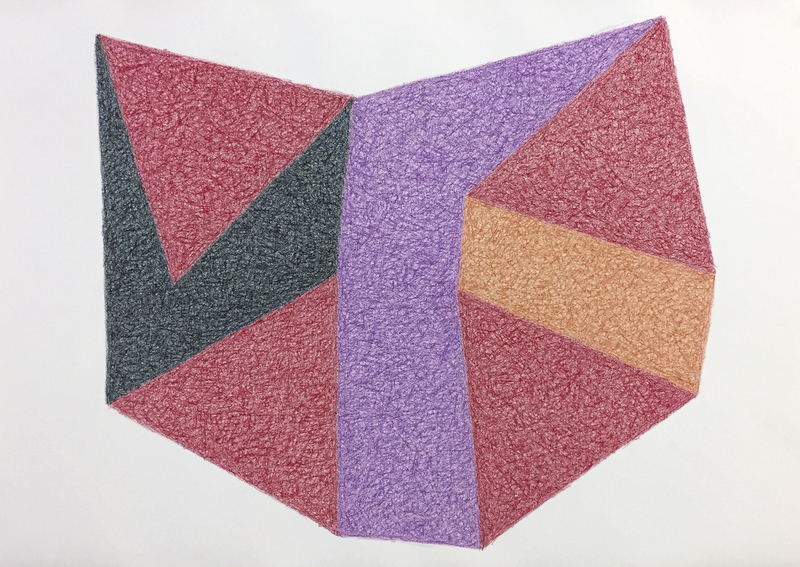 John R Walker selected for 2018 Adelaide Biennial at the AGSA. Divided Worlds, curated by Erica Green, presents 30 Australian artists over 4 venues, open until June 3, 2018. 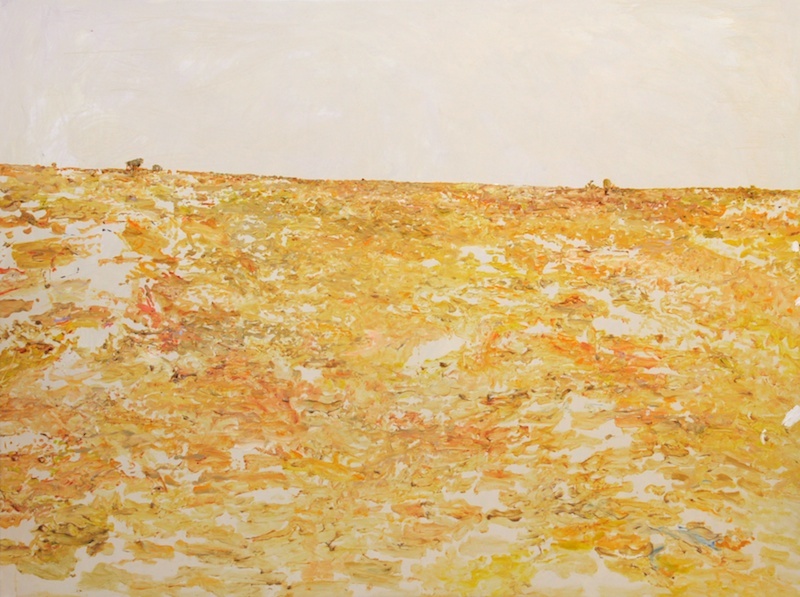 Walker has painted a suite of 7 large paintings of Burra and Oratunga, ancient eroded landscapes transformed by mining and agriculture. 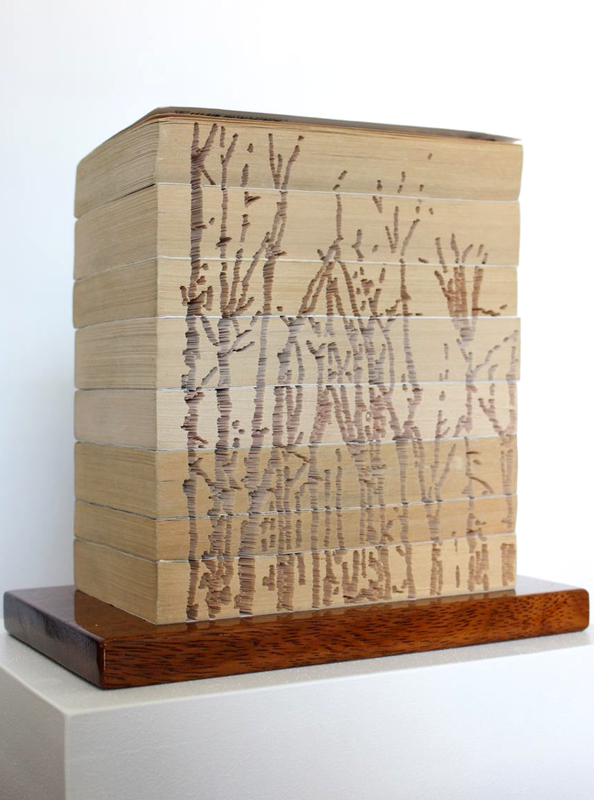 Excess leather bound volumes of Parliamentary proceedings have provided an opportunity for the Parliament House Art Collection to engage with artists to create new artworks that reinterpret, re-use and recycle these incredibly evocative objects. Includes Simryn Gill and Kylie Stillman. Featuring international and Australian artists, All the better to see you with explores artists' use of the fairy tale to express social concerns and anxieties surrounding issues such as the abuse of power, injustice and exploitation. Includes Kylie Stillman. Ian Potter Museum of Art at Melbourne University. 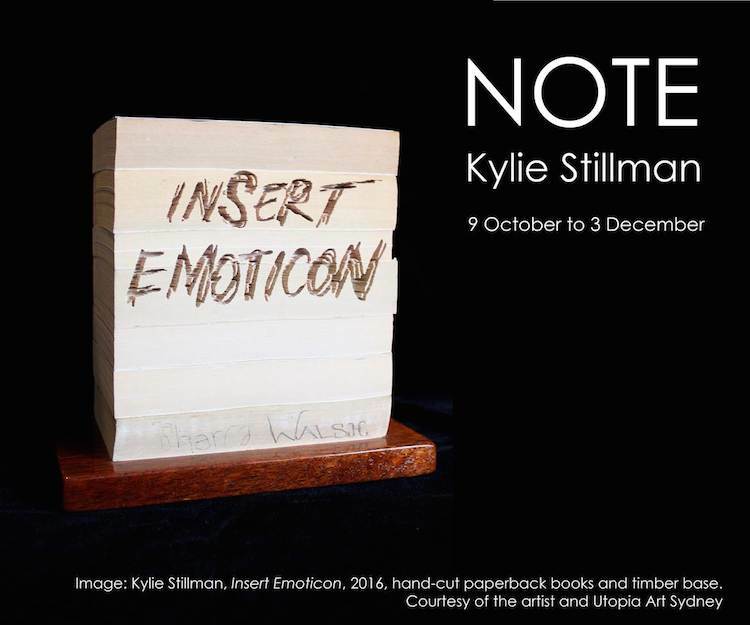 Kylie Stillman commissioned new works for the Hawthorn, 'Town Hall Gallery' collection. Driven by research into the collection's history and the many artworks and objects that make it up, Stillman was asked alongside four other artists to create works in response to the 'Town Hall Gallery' collection. 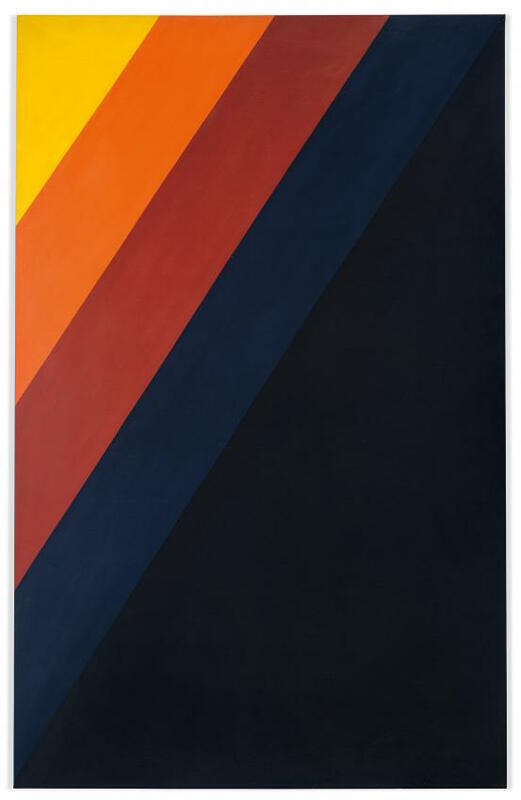 From the beginning, her work has explored the materialisation and perception of colour and light and has demonstrated an integrity of purpose and highly refined, unifying vision. The New England Art Museum in Armidale invited four contemporary landsartist to 'camp out' on Sydney harbour to create works in response to impressionist paintings of Sirius Cove, Sydney, in the Howard Hinton collection at NERAM. The exhibition will now be hosted by the Mosman Art Gallery from December, 2017. 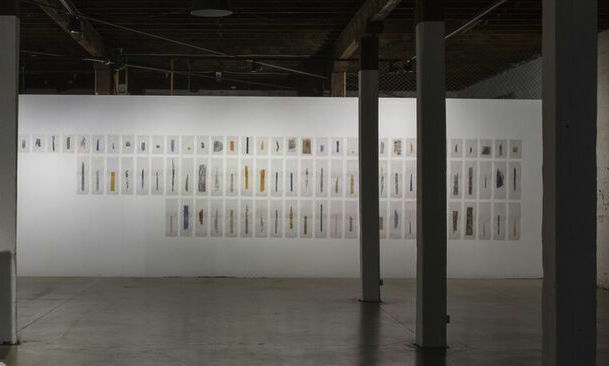 Fathom is presented by PS Art Space, Fremantle, as part of the inaugural Fremantle Bienale "High Tide'. The exhibition includes Simryn Gill's Relief prints, and objects by three artists who's lives and practice are closely linked to the sea. 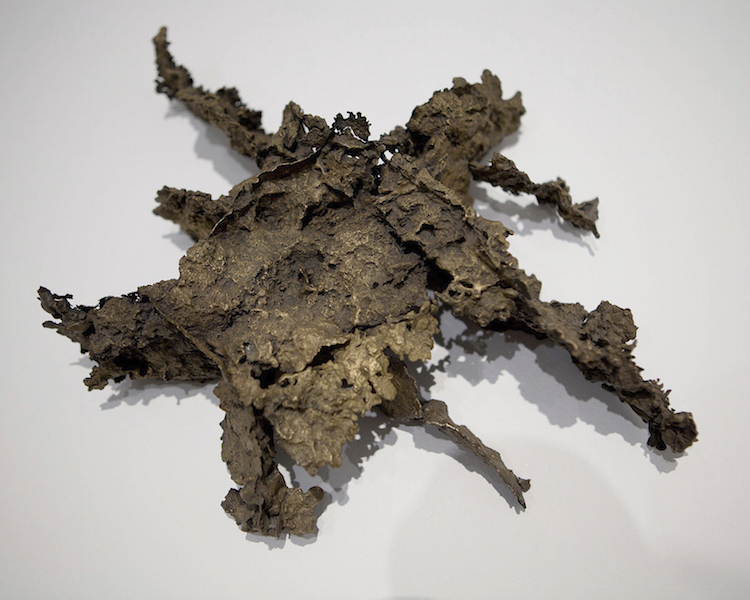 This exhibition considers the Pacific as a shared and connected space, and features artists from all over the Pacific region, including Simryn Gill. 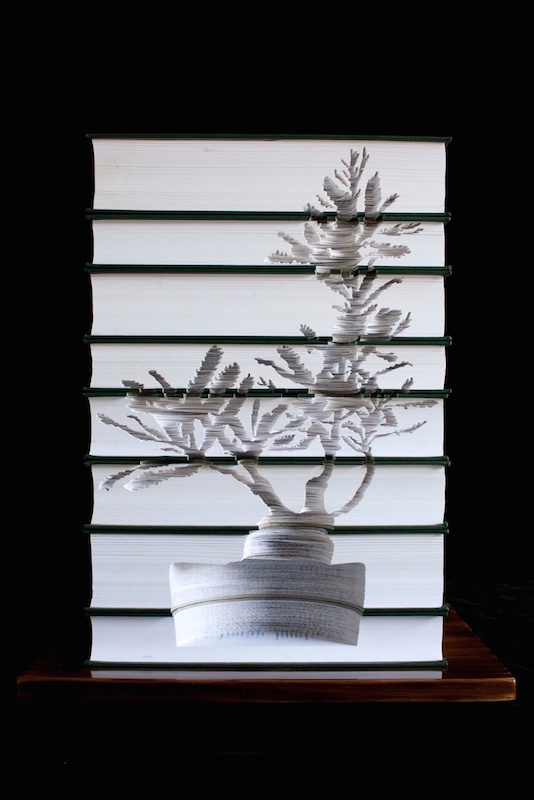 NOTE is an exhibition plays on the casual nature of the handwritten note, but Kylie Stillman has carved these into small stacks of books, giving permanency to otherwise disposable messages.